Music arranged by Ryo Kawakami, guitar provided by Tsutomu Kurihara and vocals handled by Tohru Itoga. Toru Nakayma will produce the album's cover art. Full 12-page color booklet included, contains commentary from Ippo Yamada and Zero series developers. Capcom also plans on releasing a boxed set of all five arranged Rockman Zero soundtracks (Mythos included) in a collection called Remastered Tracks Rockman Zero Limited Box (pictured above). The set plans on retailing at a hefty ¥9,800 ($104.42 USD) and will release alongside Mythos June 10th. I'm excited to announce that our next official art contest begins today as we celebrate the announcement that Mega Man Zero Collection will be arriving in stores on June 8th! 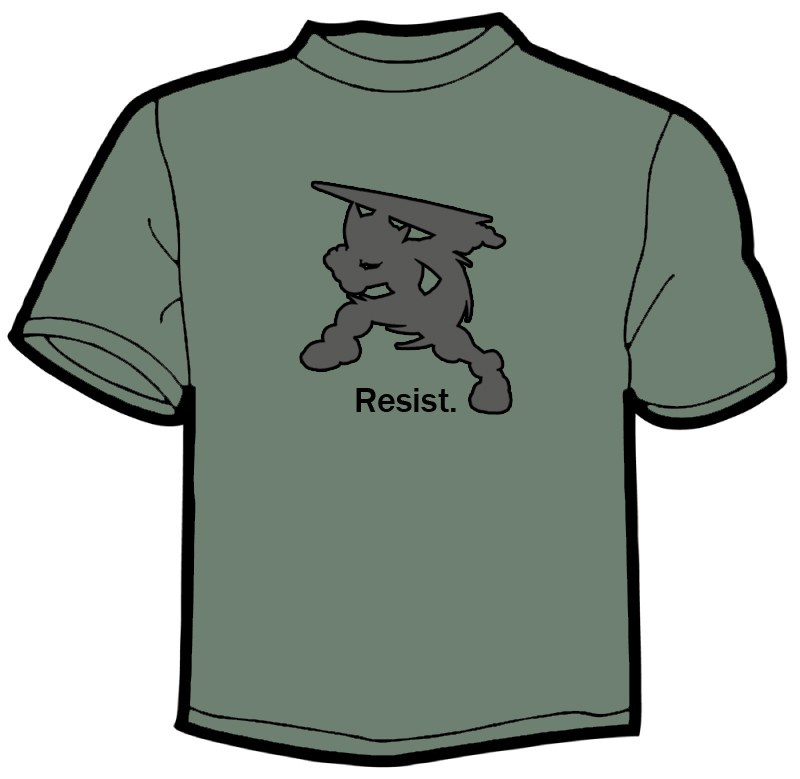 Our first art contest is going to be a t-shirt design contest! The above is my own humble design that I wanted to use as an example. Put your artistic and/or design talents to use and submit them to me via private message with the subject "MMZC T-Shirt Design Contest"! Be sure to save any high resolution art, as we'll be asking for it from the winner. The winning design will be made into a mega limited edition t-shirt which fans will be able to get via Capcom Unity. TO ENTER: Send us your best t-shirt design! Send them to me via private message with the subject "MMZC T-Shirt Design Contest"! You can enter as many designs as you'd like, just please send them as separate private messages. The winner will also receive a copy of Mega Man Zero Collection for the DS and the Official Complete Mega Man Zero Works, courtesy of Udon! Submission deadline is May 9th at 11:59PM PDT. For full contest rules and regulations, head on down to Capcom Unity. The awesome Mega Man 10 triptych just got a bit awesomer. Artist Gerald de Jesus updated the piece to include third playable character Bass, who certainly looks quite menacing -- in a good way. Check out the individual pieces and artist commentary at Capcom Unity. 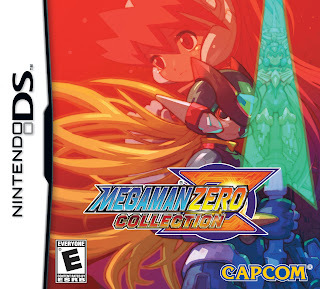 It's official: Mega Man Zero Collection will arrive on North American store shelves on June 8th for $29.99, according to a press release put out by Capcom today. 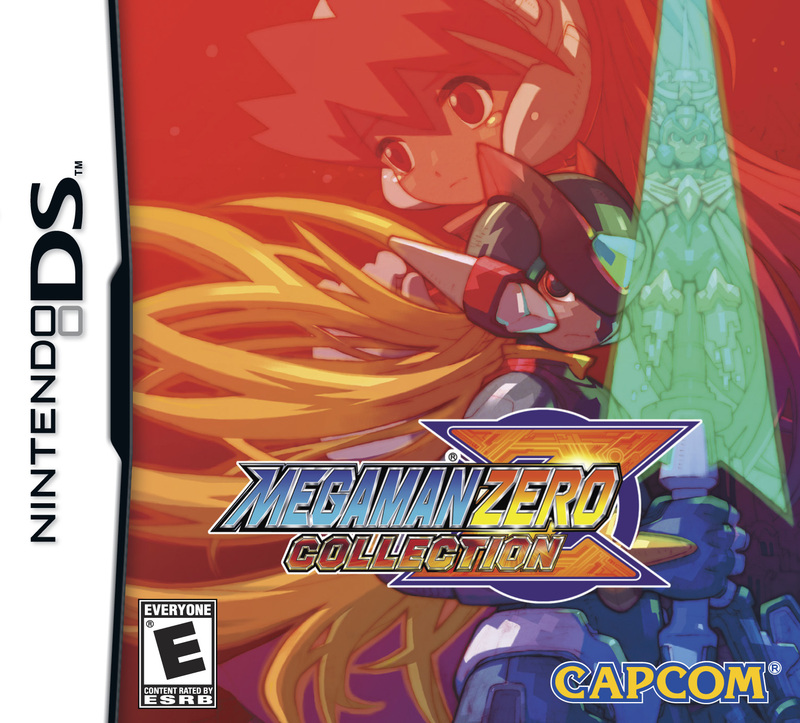 "We are mega busting with joy to announce that Mega Man Zero Collection for Nintendo DS is shipping on June 8th to all retailers in North America. This exciting new release includes all four Mega Man ZERO games previously released for GameBoy® Advance on one DS cart. 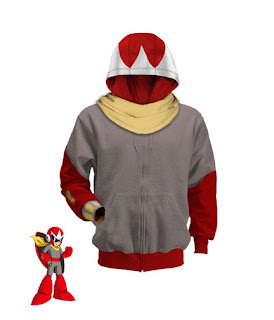 Mega Man Zero Collection will be available for the low price of $29.99. 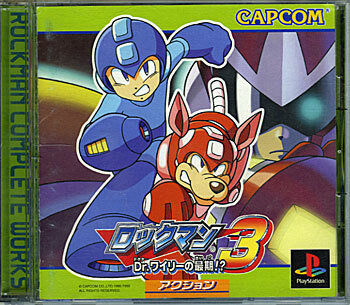 The first Mega Man ZERO game was released in 2002. 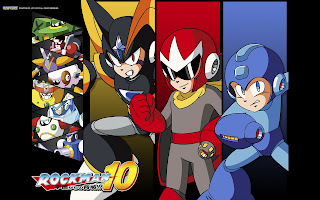 It featured Zero, a popular Capcom character that was introduced in the Mega Man® X series. The Mega Man ZERO series follows Zero through a dark and thrilling 2D action-adventure with high-quality visuals and action. 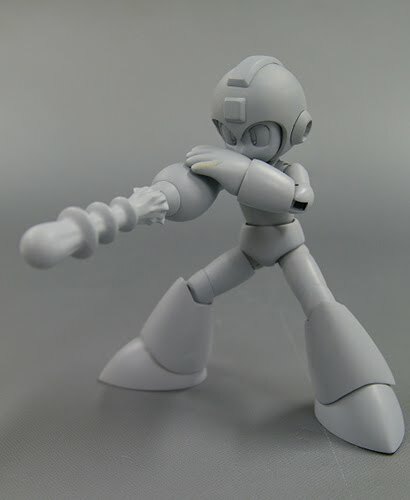 Users can expect to make use of Zero’s trademarks weapons like the Z-sabor and Buster Shot. There will also be interesting devices like the Chain Rod and Zero Knuckle. 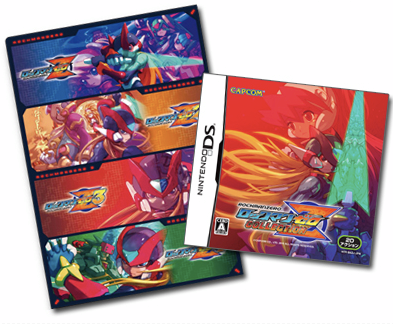 For the first time, the Mega Man ZERO series will be available for Nintendo DS™, complete with all-new modes. Whether its reliving Mega Man ZERO memories or simply feeding that 2D action craving, Mega Man Zero Collection is definitely a must-have for your Nintendo DS collection. Expect new modes like “easy scenario” which provide a much more forgiving cyber-busting experience without holding back any of the fun. 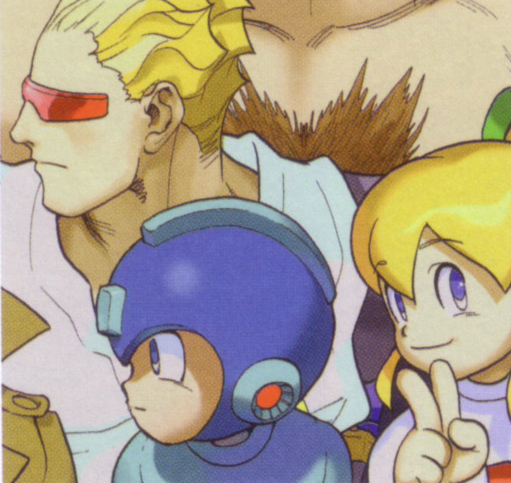 We got big plans in store for Capcom Unity and Mega Man Zero Collection! We're also launching the official Mega Man Zero Collection website later today, so stay tuned for more details! Pre-order your copy at Capcom's online store or wherever games are sold. UPDATE: Official site is live. 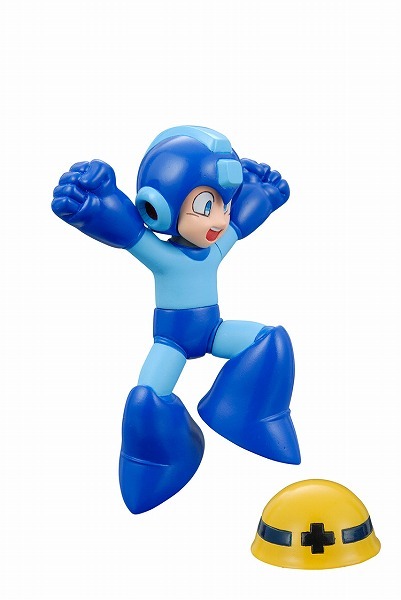 Capcom released a third dynamic Mega Man 10 theme for the PlayStation 3 in Japan today. 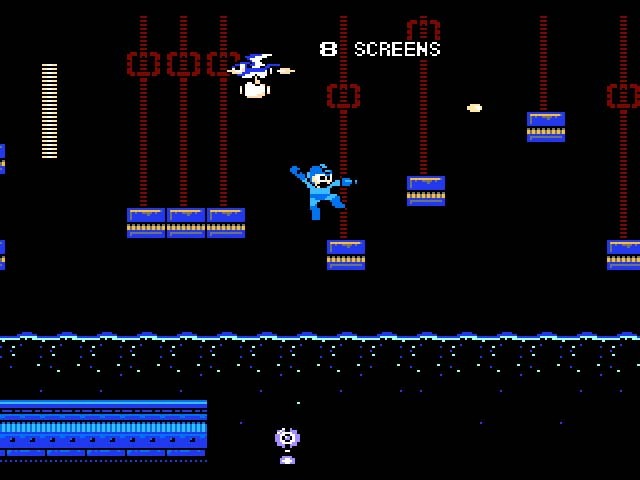 It's not available in other regions yet, but that shouldn't stop you from admiring the above footage, which features Mega Man and Proto Man playing a game of seek-and-find in Dr. Light's lab. It'll run you 200 Yen or $2.99 when it hits the U.S store. Thanks, XHunter1. 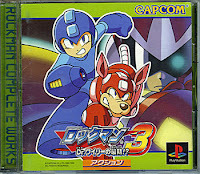 A month ago, Capcom and Sony held a raffle where 30 lucky gamers won an exclusive download of Rockman 3: Complete Works on the Japanese PlayStation Store. Didn't win? Not to worry, you'll still have a chance at obtaining the game. Capcom announced tonight that the title is seeing a public release on the JPN PlayStation Store today, April 28th for 600 Yen. There is no region restriction for PlayStation Store, meaning you can purchase the game even though you don't own a Japanese PS3. All you need to do is set up a Japanese PSN account (instructions here) and have access to a JPN PlayStation Network Card to redeem cash for yen (instructions here). 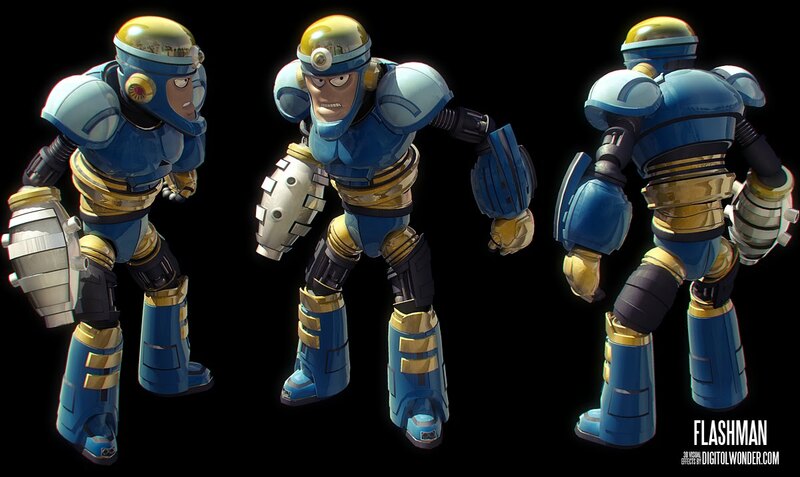 The news comes a day after Capcom's community manager Seth Killian hinted that a 'rad' Mega Man concept was in the works. Perhaps Mega Man Universe is just that? "It's good. I don't want to say nobody has seen it coming. Somebody may have seen it coming. But it excited me and when I heard about the project, I was like, 'Holy crap. That's rad.' I actually haven't seen anything that's going on with the project right now but the idea was exciting. This is still kicking around as a concept. 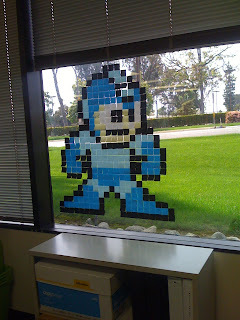 But there are exciting ideas in the Mega Man space." That 'seen it coming' tidbit really has my excited; seems to imply this project is something we've been discussing and or speculating about for a while. A penny for your thoughts? What does Capcom have up their sleeve? End of April already? 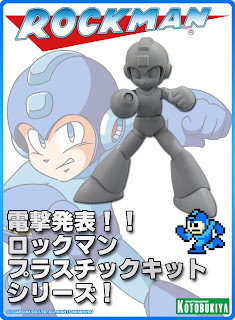 You know what that means: more Mega Man 10 downloadable content! Hitting all three systems this week are two new Special Stages (featuring Punk and Ballade as bosses) and Endless Attack Mode. Pricing and further details below. Test your skills on a stage without end. Try to break the record for getting the farthest. Results will be displayed in the Rankings page. Not compatible with other Challenges. Special Stage 2 (Punk) = $.99 USD /100 Wii Points/ 80 Microsoft Points. 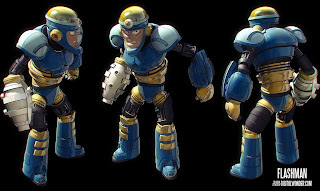 Special Stage 2’s boss is second Mega Man Killer Punk, also created by Dr. Wily. He was designed to be bigger than Enker in size and his special attack is a rapid spinning tackle. Now folks are going to be tempted to rush through on these stages because they are timed, but be careful because the Parabombs in this stage will make life hell for you. Special Stage 3 (Ballade) = $.99 USD /100 Wii Points/ 80 Microsoft Points. All three will be made available for purchase on Wii this morning, followed the Xbox 360 on the 28th, and the PlayStation 3 on the 29th. "Okay this is awesome I got to talk with Inafune-san a little bit (With help from his interpreter) and I got him to sign my MegaMan 1 cartridge. The already awesome cover art can’t look any more vintage now. I asked Inafune-san if there are any plans to make a MegaMan X9 soon (Obviously to let him know that was the game I would want made) and he said that there are no plans for a X9 for now. If they make a X game it won’t be X9." If not X9, then what? A sequel to one of the many side games? Or maybe something new entirely? Feel free to speculate, but I wouldn't get all too worked up until we hear something a bit more official. via MegaPhilX's Captivate Chronicle. Thanks to everyone who sent this in! "Whether games are created in America or Japan or anywhere in the world, I will be the one overlooking it, and so it will have that Capcom flavor that fans know and love," Inafune told attendees of the company's Hawaiian soirée last week. "So one of the things I want people to know is that now that I am overseeing every part of Capcom R&D. You can be sure that that unified vision is going to come through in all of our titles no matter where they are created." 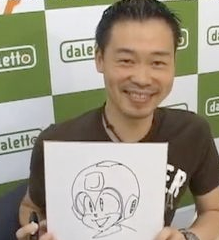 With Inafune's role in Capcom becoming more integral, this can only mean good things for the Mega Man series. With new jurisdiction, perhaps now he'll finally greenlight the much demanded Legends 3. 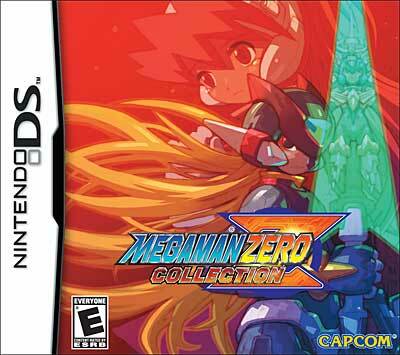 Zero Collection U.S Box Art Revealed; Game Releases June 8th? GameStop has revealed the box design for Mega Man Zero Collection on its preorder page. It features a commanding shot of Zero with Copy X embedded in the Z-Sabre's blade while Ciel looks onwards. All in all, it's pretty much the same design as the Japanese package, which is by no means a bad thing. GameStop's pre-order page also says the game will ship June 8th for $29.99, as does Amazon. Uncertain if the date is official, so it's likely tentative for the time being. Thanks for the tips, Sarge. A WonderCon 2010 attendee has come through with some footage of Capcom's "Hot Games of 2010" press conference earlier this month, which features a peek at Mega Man Zero Collection. The Zero Collection portion of the panel features an English trailer, a tentative June 2010 release date for the U.S and a few other tidbits. Check it out below. The presentation alludes to the much hyped "ability to play all 4 games in chronological order" aspect, which still hasn't really been touched upon in detail yet. Despite speculation that it's a mode where you play through all four games seamlessly back-to-back from start to finish, there's not too much going around about this feature for the time being. Concerning the "new dual screen functionality", all we know at this point is the bottom screen will be used to display character illustration during gameplay portions and navigate through menus. Nothing really significant, but you never know if more bottom screen features will be revealed as we inch closer to the June release. I wouldn't be the least bit surprised if we got maps or something of the like. After the success of the fan-made NES/Famicom Rockman 7 port, the denizens of 2ch saw fit to give Rockman 8 the very same treatment and recreate the PlayStation/Sega Saturn original down to the NES format. A year has passed since development began, and although the project isn't quite done yet, the game is far along enough in development to yield a playable demo, which you can download right here. I haven't played it myself yet, but having compared footage between the "demake" and the original RM8, the game seems like a pretty solid and faithful recreation. Look forward to the full game's release later this year. Thanks, Henk-Jan.
Looks as if those leaks were true. Capcom officially announced Marvel Vs. Capcom 3 this morning, due out in 2011 for the PlayStation 3 and Xbox 360. Check out the trailer and a bit of official art here. 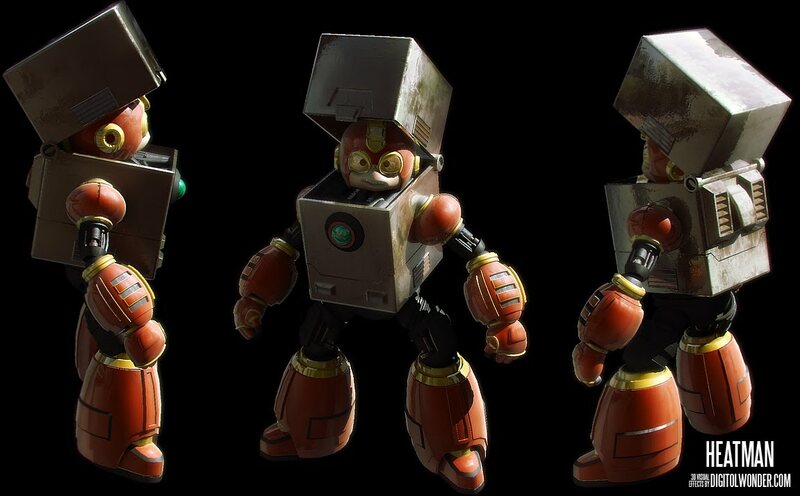 It's uncertain at this point if any Mega Man characters will take part in the game, but considering Mega Man, Roll, Tron Bonne (and Servbot) were playable in the first two installments, I'd say it's likely someone will show up this time around. I'll keep you posted. The film, slated to premiere May 1st in New York followed by an online release May 7th, has been in production since November 2008. It's all finally coming together and looks pretty good, IMHO. Your thoughts? Excited or could you care less? For more information, check out the film's official site here. Thanks, Craig. 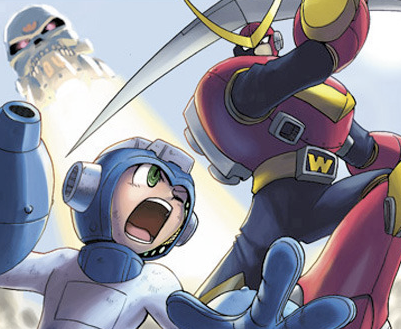 Inti Creates has posted four sample pieces for their upcoming Rockman 10 Image Soundtrack. These samples include rock versions of Nitro Man, Solar Man and Wily stage themes along with a preview of the vocal track "Last Exit." The CD goes on sale in Japan April 30. Looking to import? 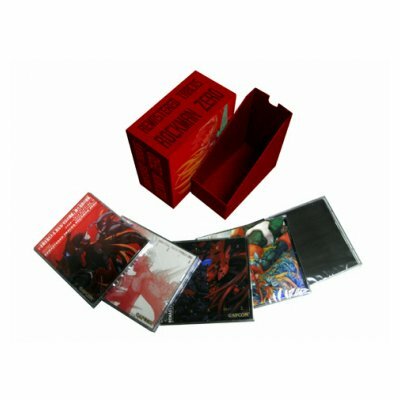 Pre-order yours at CD Japan! 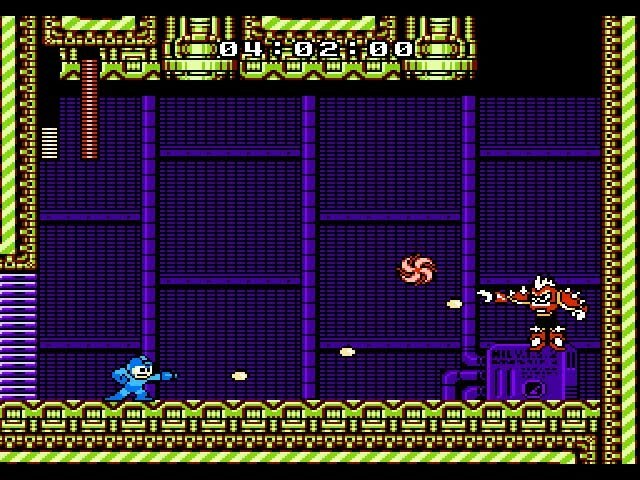 Hot on the heels of the European release last week, Mega Man 4 was added to the North American Virtual Console library earlier today. The game can be purchased straight off the Wii Shop Channel for 500 Nintendo Points. In the year 200X, one year after the events of the Gamma Project and Dr. Wily's overtaking of it (and Wily's supposed "demise"), Dr. Light receives a letter from a mysterious Russian scientist named Dr. Cossack claiming that he is the superior robot engineer in all the world. Cossack states further that he will unleash his army of robots upon the world as a "test" for Light to see which of them was the best. 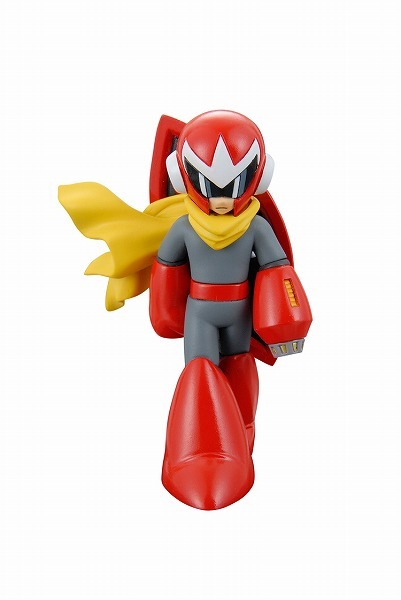 Light will not stand for this, so Mega Man is called forth from his search for Wily to go after Cossack's Robot Masters. Now all we need is MM5 and MM6, and we'll have ourselves the complete NES classic series on Wii. Hope they aren't too far off from release! See more of David's art and designs at his official site here. Thanks for the tip, Shayne. Here's something you don't see everyday: a custom Doc Robot figure. 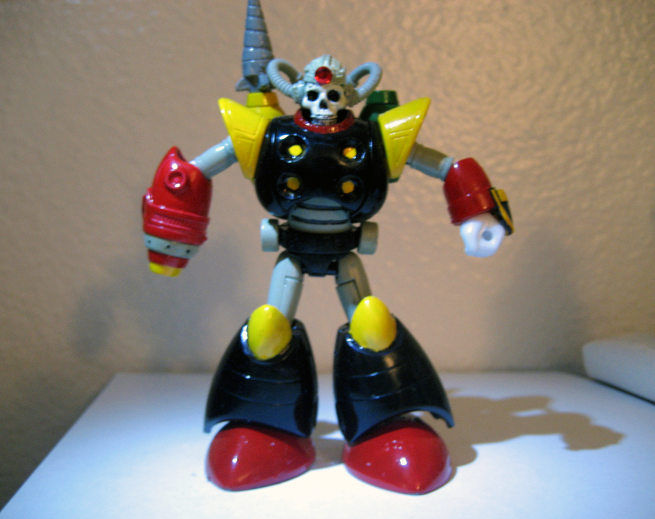 Doc Robot of Mega Man 3 fame is quite an obscure character -- so obscure that he's rarely had any official figures based off of him. 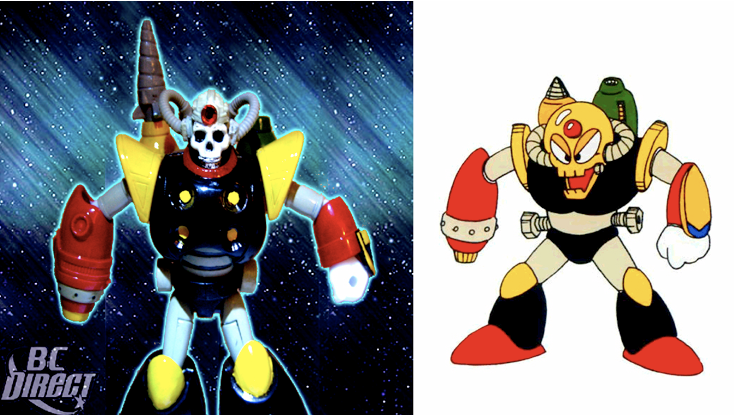 Taking that into consideration, creator BC Direct made the above Doc Robot figure of his very own whose design looks a bit more menacing than his concept art counterpart. Nice work, BC! It's been quite a while since we last saw some interesting beta/prototype stuff. Well, we're ending the drought today with a look at pre-release versions of Rockman X and Rockman 3, which recently showed up in video form courtesy of YouTube. Couple aesthetic things really standout in this beta build, particularity the presence of a "P" lifebar. No idea what the "P" stands for, but it's interesting nonetheless. Other oddities include a strange swirling explosion effect when enemies are destroyed, a lack of BGM (possibly not even produced at this point), slightly alternate title screen text (0:29) and maybe a few more minor things I'm over looking. 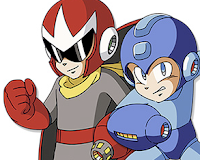 No Proto Man encounter in Magnet Man's stage. No cloud enemies or cloud platforms in Snake Man's stage. There's a severe lack of enemies in general. Might be the quality of the footage, but Rockman's title screen pose is pretty dull color-wise. Update: Gauntlet pointed out the following: "N" for the Buster (seen on the pause screen). All Rushes available despite no weapons available, the snake and cat seem to take less damage." Though not quite as neat as the other MM3 prototypes, this one is certainly unique in its own light. Care to make any other observations? Two interesting tidbits to share today. 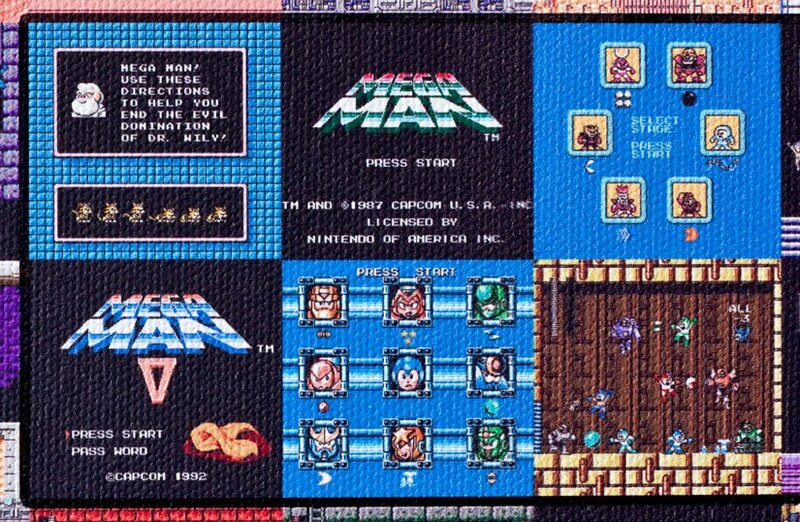 First and foremost, Capcom revealed a second dynamic Mega Man 10 theme for the PlayStation 3, which is currently selling in Japan for 200 Yen. See it in action below. No word on a North American or European release yet, but it should be available soon [UPDATE: It's up on the North American PSN Store]. 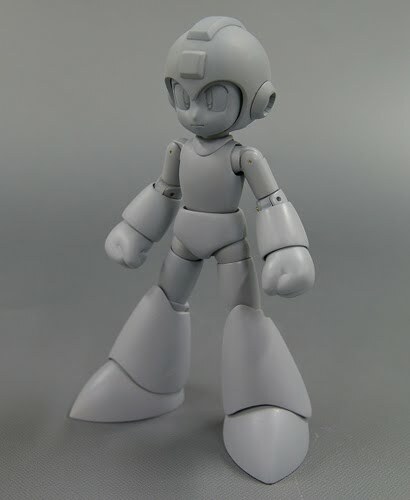 Second bit of news, 4Gamer.net is featuring some real nice high quality pics of the upcoming Rockman trading arts figures, which are slated to release in May. Below are a few images of select figures. See them all at 4Gamer. "We're very happy with the Megamix sales, definitely one of our better selling mangas," says UDON Entertainment's managing editor Matt Moylan. "The real test will be Mega Man ZX, to see how a less popular Mega Man franchise sells." Good to hear, especially since one of the major hurdles preventing the book from releasing years back was a concern over market performance. I'm not too concerned about ZX as the series in particular does have quite a following, but I can see where Matt's coming from on that one. 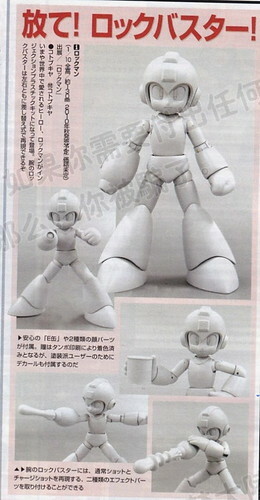 If all goes well with both books, perhaps we'll see even more Mega Man products for UDON in the future. 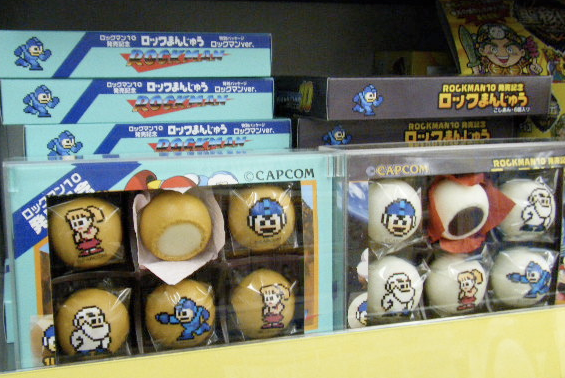 Reader ZeroX sends word that the Rockman 10-themed Japanese candy, 'Rockmanju', is being sold at Global Foods Market in Illinois. 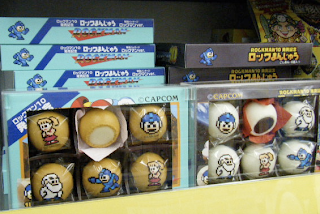 The store happens to carry both variations of the candy for $20 a pop: the 'shiroan' version, which uses the box art from original Rockman as a packaging, and the koshian version that's made to look like a retail copy of Rockman 10 if it were sold in a box. It's pretty unusual to see a promo item like this being sold outside of Japan, but still a nice find nonetheless. No idea if these are being sold in other international grocery stores, but if you spot 'em anywhere else, give us a holler. Thanks, ZeroX. Yet another bitmap Mega Man mosaic comes our way, but this time the Blue Bomber is made entirely out of 3M post-it notes; a product of boredom and a lot of free time. You didn't forget about Capcom Unity's Mega Man 10 package design contest, did you? No worries! The deadline has been extend to May 10th giving you a little over a month to whip something up. The complete Japanese collections of Rock Man MegaMix and Rock Man GigaMix manga! The collections are in Japanese, but they’ll make great collector’s items! Full contest details and rules can be found over at Capcom-Unity. Once you've made a design, snap a photo of it and upload it to Unity's public photo gallery, then send jgonzo a personal message letting him know of your participation. Best of luck! Marvel Vs. Capcom 3 Announcement Incoming? I've been sitting on this one for a while, but considering there isn't much happening news-wise today, thought I'd talk about it. Rumor has it that Capcom is developing Marvel Vs. Capcom 3, and according to a source at Team Spooky, the game could be announced as soon as May. How legitimate is this supposed leak? Turns out the source of the rumor, an individual by the name of Henaki, is the very same fellow who leaked the entire Super Street Fighter IV roster last summer and got it right on the nose. 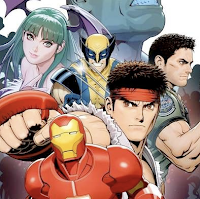 “I would love to do more versus series, more types of games like Marvel Vs. Capcom 2,” Niitsuma said. “There are all of these possibilities working with other companies, seeing what we could do with them. There are so many game companies I’d love to work with." And sales have been good, according to Capcom. Perhaps an announcement is just around the corner? 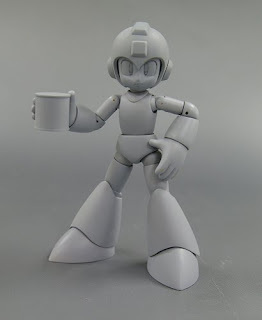 Kotobukyia has published a site devoted solely to their upcoming Rockman plamo figure, which features a much greater look at the detail and accessories the figure has to offer. As previously reported, the 1/10 scale figure will include a couple accessories such as interchangeable buster shots and an E-Tank. An image of the figure's "normal buster" shot has also surfaced, which you can view here. 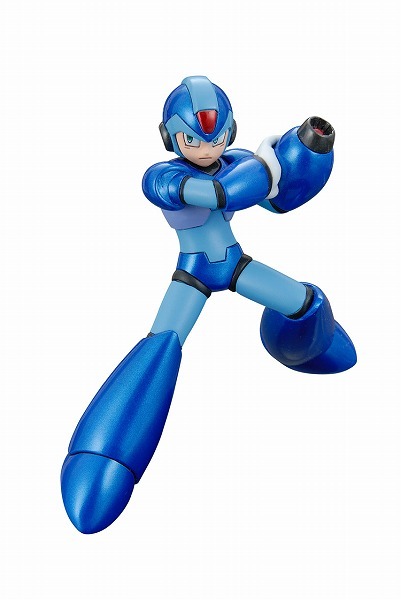 Capcom's looking to release the figure later this fall, with pricing and a specific release date unannounced. 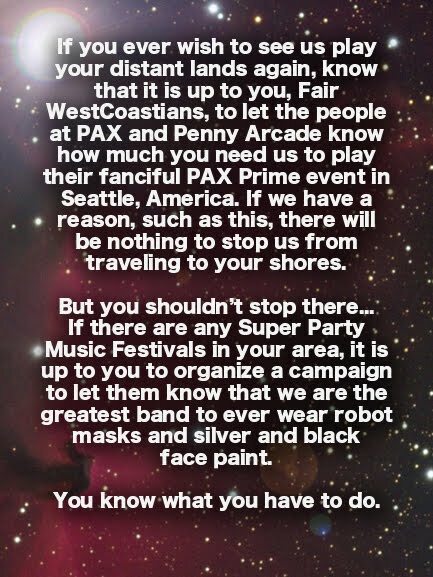 The Protomen haven't performed in the West Coast for years, so this would be a pretty significant event. Show your support and sign the petition! 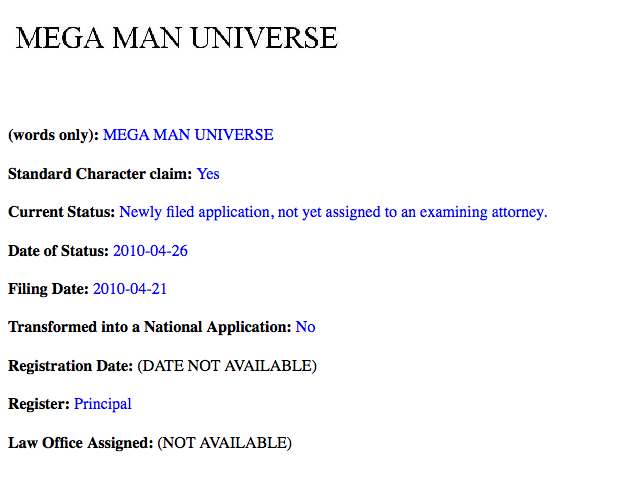 Mega Man X7, X8 and Command Mission Never Happened? Originally slated to hit store shelves April 22nd, Rockman Zero Collection looks to be releasing in a matter of months. Famitsu reports that Capcom has re-dated the compilation for a June 10 release in Japan, priced at ¥4,190. Coinciding with the announcement, Capcom gave the game's official website a bit of a makeover and pulled the wraps off of the game's box art, which features new artwork courtesy of series artist Toru Nakayama. To compensate for the previous delay, Capcom plans on rewarding E-Capcom customers with an original clear-file folder as a bonus good. Capcom US and EU have yet to reveal a release date for the game, but I suspect we'll hear something during Capcom's press conference, Captivate 2010, next week. I'll keep you posted. Official Nintendo Magazine reports that European Wii owners can snag a download of Mega Man 4 from the Virtual Console next week when it becomes available April 16th. The game will set you back 500 Wii Points. 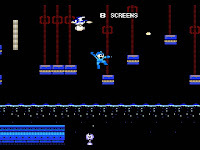 "After revealing that Mega Man 4 would be coming to Virtual Console last week, we can now confirm that you'll be able to download Capcom's retro platformer on 16 April. Originally released on Nintendo's first home console in 1992, this one sees our robot hero attempting to stop Dr. Cossack who plans to eliminate Mega Man to prove himself to be the greatest robot designer of all time. This time he has the ability to charge up energy inside his Mega Buster, allowing him to then fire larger and more damaging blasts." Still no word on a North American release, but it shouldn't be too far off now. Thanks for the tip, Jim. Once again, Capcom-Unity has graciously passed along some download codes for the Xbox 360 version of Mega Man 10. I've got 10 vouchers for the game and I'm going to be giving them away here throughout the night! Just keep checking back on this post where I'll be dropping two codes at a time. First downloaded, first served. There is a bit of a catch, mind you: In order to get me to drop the codes, you've got to leave a sufficient amount of comments. Once I'm satisfied with the feedback, the codes will surface. Again, huge, massive props to Capcom-Unity for the donation. They're an awesome bunch, so please be sure to check out their events and contests they throw together. 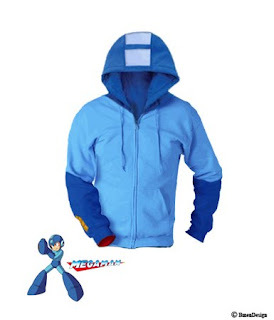 The Mega Man Network will be holding a similar contest of their own shortly, so this won't certainly be your only chance to win. And with that, best of luck! Check back often! UPDATE: All gone. Thanks for participating! 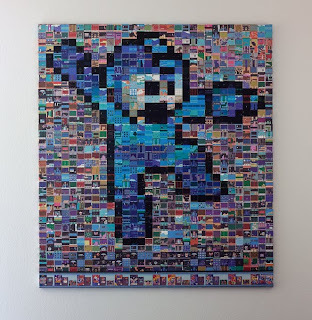 NeoGaf member Jarosh created this magnificent four foot tall mosaic from 1,500 different Mega Man screenshots -- screenshots of every stage from every NES Mega Man game! 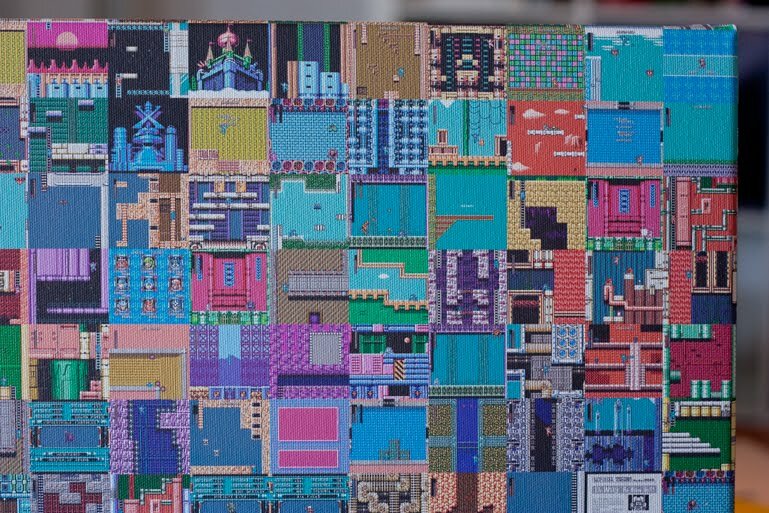 Jarosh even managed to include the boxarts for each game, boss weakness and as a bit of an easter-egg, his two cats are hidden somewhere. Truly awesome work. 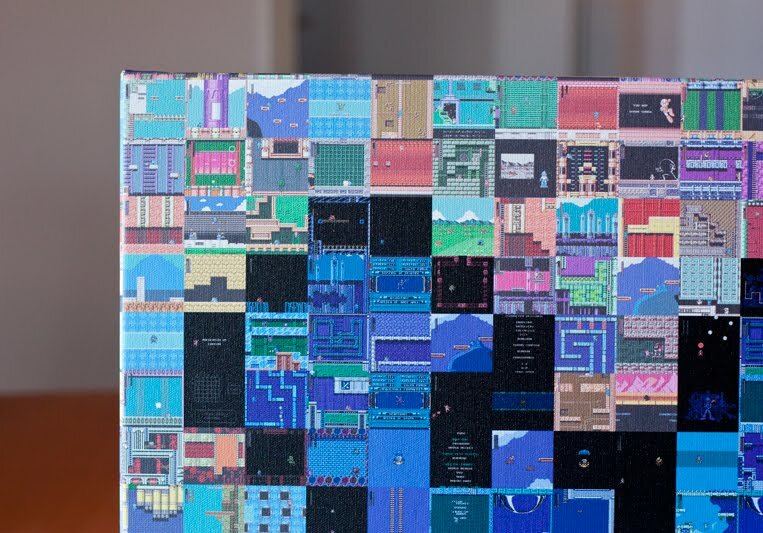 You can find more pictures of the mosaic and a closer look at the individual tiles here. I said it once and I'll say it again: do want. These hoodies desperately need to be made. Fund it, Capcom! 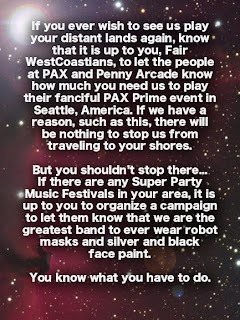 "I played it at Wondercon, and at least from my short time with it everything seemed to work exactly as it should. They even have fully customizable controls, thank God." "Like I said, there is a custom control option that lets you map the buttons however you please. It was the first thing I checked for, because it drives me nuts when games have jump/shoot switched around from how I like it, which is my beef with GBA emulation on the DS in general." Had a friend of mine confirmed this too, and according to him, the booth's Capcom rep mentioned the option applies to all four games. This should come as good news for those who'd prefer a setup reminiscent to the SNES style layout of the early X games. No complaints here! On a related note, the aforementioned Capcom rep also commented on the game's release date, and despite a delay in Japan, the compilation is still on-track for a second quarter summer release. More details at Captivate 2010, hopefully. The Rockman 10 original soundtrack is available now. The Inti CD is hard to come by as it's an E-Capcom exclusive, so you're gonna have to look around a bit for that one. For your downloading pleasure, the first batch of Mega Man 10 DLC hits Wiis this morning with Bass Mode and Special Stage 1. 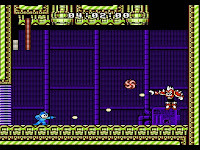 Bass Mode, as the title suggests, let's you play through the games as Bass, complete with his own unqiue set of abilities (200 WiiPoints) and Special Stage 1 is playing host to the return of Mega Man Killer Enker of Dr. Wily's Revenge fame (100 WiiPoints). The 360 and PS3 versions will be getting both DLC a bit later this week: April 7 for the 360 (160 MS Points for Bass, 80 MS for special stage 1) and April 8 for PS3 ($1.99 for Bass, $0.99 for special stage 1). Ah, the PocketStation. A neat little peripheral for the original Sony PlayStation, the Japanese-exclusive device doubled as a Memory Card and a mini-PDA that, when connected to a PlayStation, could download exclusive minigames from a handful of PSX games. 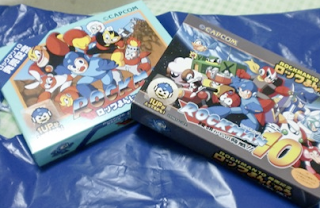 The Rockman Complete Works series supported the device with six Rockman-themed minigames collectively referred to as "Pocket Rock." Alternatively, experience points can even be used to increase the stats of Robot Masters, too, making them extra harder. Pretty cool, wouldn't you say? PocketStation support (among other features) was cut from the Anniversary Collection, so collectors looking to purchase a PocketStation of their very own and/or the Complete Works games should scope out the usual places like Ebay, Google Shopping, etc. It's pretty much useless without a region 2 PlayStation and a copy of one of the six Complete Works titles, so be sure you've got those handy, too. The bad news is you can't buy it as it's only a concept for the time being, but man, it looks splendid. Oh, and that 'mega buster' sleeve? Pure win. Bass Mode (Playable Character) = $1.99 USD/200 Wii Points/ 160 Microsoft Points and Special Stage 1 (includes Enker) = $$.99 USD /100 Wii Points/ 80 Microsoft Points. Of note, this schedule only applies to North American versions. Well, April Fools is over. We had ourselves a few laughs, but now it's time to get back to business: wallpapers! To commemorate the release of the Xbox 360 version of Rockman 10, Capcom Japan is offering a new wallpapers, which features commanding shots of Rockman, Blues and Forte with the eight Robot Masters embedded in the background. Sizes and download links below. You can find more wallpapers at Capcom US' official Mega Man 10 site under the download tab. 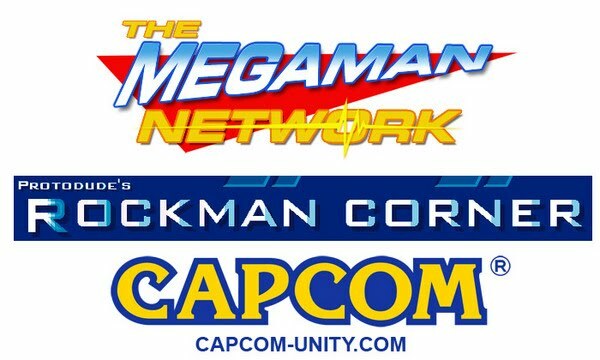 In response to recent leaks, Capcom-Unity has gone and announced a history making partnership with Protodude's Rockman Corner and The Mega Man Network; officially declaring the two sites as the one-stop shop for the latest Mega Man leaks and rumors. 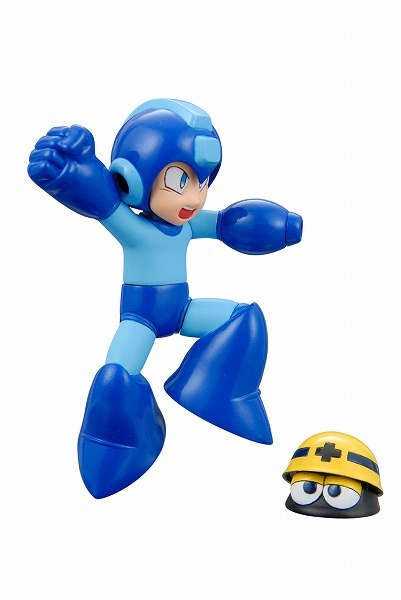 Capcom Unity is proud to announce a unique partnership with Mega Man fansites the Mega Man Network and Protodude’s Rockman Corner. 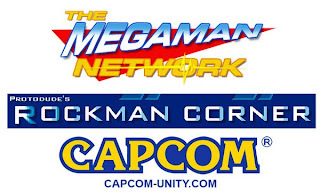 Capcom Unity has appointed the Mega Man Network as the main distributor of Mega Man leaks. As part of the exclusive partnership, the Mega Man Network will be receiving weekly Famitsu issues directly from the printing factory in Japan, along with a handy usb thumbdrive full of complete digital scans for uploading. Additionally, the newly developed Capcom Unity Ministry of Localized Enforcement Synergy will provide TMMN with ambassadors from within Capcom that will distribute information to TMMN’s bloggers. Rest assured, these ambassadors have undergone strict training that will allow them to share the best leaks that will provide for maximum blog coverage. 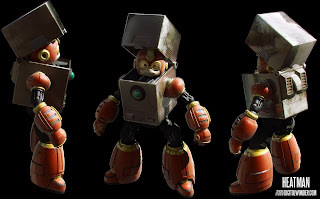 Finally, Capcom Unity has appointed Protodude’s Rockman Corner as THE place to go to for all Mega Man Legends 3 rumors, because “that in its own deserves an entire website”. "We hope to grow this program in the future to include the managing of ALL of our franchises' leaks, but we'll see how this pilot program goes," says jgonzo. 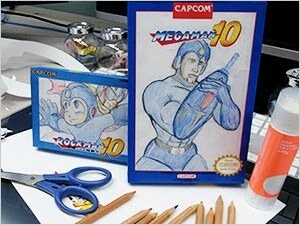 April Fools - Roll DLC Once Planned For Mega Man 9?